GHG, CARB, California regulations, Cap and Trade. The Point of Generation refers to the time when a material becomes a waste. If you have a brew of corrosive material inside a manufacturing vat, RCRA has NO jurisdiction over it because the material is in a manufacturing process and no one has decided to discard it. Once someone takes it out from the vat (remove it from the manufacturing process) and decides to discard (then abandon) the corrosive material, it becomes a solid waste and hazardous waste - in that order. Technically speaking, all that material sitting inside the vat is hazardous material (not hazardous waste) for 90 days before it becomes abandoned per 40 CFR 261.4 (c) or when someone decides to discard it - whichever comes first. But in reality, they are hauled off and disposed of as hazardous wastes (per DEA policy) by DEA - who will be the generator of those wastes. Is groundwater considered navigabel water? You have to prepared a SPCC plan if you have more than 1320 gallons in shell capacity AND the potential to impact navigable waters of the United States.Many people ask the question" "Is groundwater included in the definition of navigable waters under the Spill Prevention Control Countermeasures regulation?" However, keep in mind that groundwater could act as a conduit for spilled oil to reach navigable waters of the U.S. Here is what EPA stated in its SPCC Inspection Guide: Facilities should consider "certain underground features (e.g., power or cable lines, or groundwater), (that) could facilitate the transport of discharged oil off-site to navigable waters." MOEX Offshore 2007 LLC has agreed to settle its liability in the Deepwater Horizon oil spill in a settlement with the United States valued at $90 million, announced the Department of Justice, the U.S. Coast Guard and the U.S. Environmental Protection Agency (EPA) today. Approximately $45 million of the $90 million settlement is going directly to the Gulf in the form of penalties or expedited environmental projects. According to the terms of the settlement, MOEX will pay $70 million in civil penalties to resolve alleged violations of the Clean Water Act resulting from the spill and agreed to spend $20 million to facilitate land acquisition projects in several Gulf states that will preserve and protect in perpetuity habitat and resources important to water quality and other environmental features of the Gulf of Mexico region. At the time of the spill, MOEX was a minority investor in the lease for the Macondo well. It no longer owns any share of the lease. MOEX owned 10% interest in the Macondo well and settled for $90 million. Just imagine how much BP will pay in final settlement. 1. Ask the inspector for a copy of compliant against your facility. If the inspector shows up as a result of complaints filed against your facility, you can ask about the nature of the compliant. But the inspector will not likely give you the names of the people who filed complaints against you - especially if they are your employees. 2. Restrict inspector's scope of inspection. An inspector will not allow you to restrict his movement at your facility. If he is doing a general environmental or safety inspection, he has a wide scope as long as the inspection pertains to environmental or safety issues. 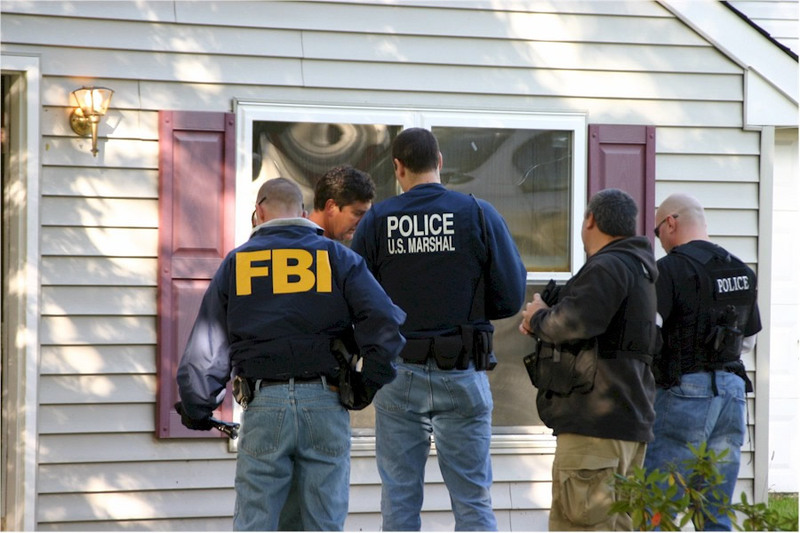 It is not like a search warrant where the government is restricted to the scope of the search warrant. 3. Stop the inspector from tape recording conversations. If you try that with an OSHA inspector, it could be considered as "refusal of entry", according to OSHA's Field Operations Manual. OSHA inspector has the right to tape conversations, take photos and videotape the inspection. Does "one size fits all" audit really work? At the Phoenix Auditing Roundtable meeting earlier this month, one internal auditor described her company’s “One Audit” concept. It is a comprehensive audit that includes EHS, finance and IT auditors in ONE team. Instead of having three or four different audit teams auditing specific functions of the company, a large team shows up at one time and does it all. The main rationale cited at the presentation was that senior management was tired of having to spend time with 4 separate teams and preferred to spend time with just one large team at one time. This rationale begs the question: Is the internal auditing process being modified for the convenience of senior management? Or should it be done to uncover issues that need to be addressed regardless of the “inconvenience” that it impose on management? A similar sentiment came up in another session (my session) when the question was posed to the audience of auditors: Should you be hiring the same external auditor year after year? Or should you be hiring new external auditors very few years to get a fresh set of eyes? Many internal auditors were adamant that the same external auditors be hired because these auditors know the company’s process and procedures and would ask fewer questions and therefore take up less time of management. Setting aside the adage “familiarity breeds contempt”, does this mindset of “not inconveniencing management” really serve the company well?